“A sphere? Not exactly…On the ground it looks as it’s sprouting up, while hanging it recalls a ripe fruit on a tree”. Happy Apple is a hanging lamp, a floor lamp and a wall lamp too. Suitable both for indoor and outdoor. 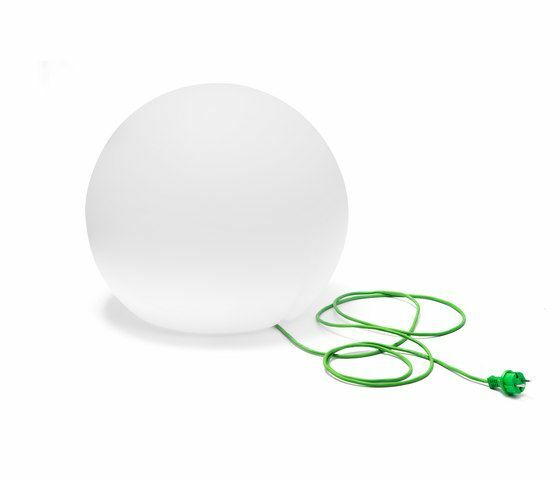 A collection of energy saving lamps made of rotomoulded polyethylene, three dimensions available.